The new acting attorney general says he’s honored that President Donald Trump has confidence in his ability to lead the Justice Department. Whitaker became acting attorney general after Sessions resigned from the Justice Department. Sessions said in his resignation letter that the move was made at Trump’s request. As he left, Sessions appeared emotional and said, “Thank you” and “God bless,” before hopping into a waiting SUV. He also shook hands with his chief of staff Matthew Whitaker, who was appointed acting attorney general on Wednesday after Sessions resigned at the president’s request. Trump’s relationship with Sessions frayed just weeks into his tenure, when he stepped aside from overseeing special counsel Robert Mueller’s investigation into potential coordination between the president’s Republican campaign and Russia. Maine Republican Sen. Susan Collins is warning the Trump administration not to undermine the investigation of special counsel Robert Mueller following Attorney General Jeff Sessions’ resignation. In a tweet Wednesday, Collins expressed concern about the administration’s announcement that Deputy Attorney General Rod Rosenstein will no longer be overseeing the probe into possible coordination between Trump’s 2016 Republican campaign and Russia. Sessions resigned Wednesday at the president’s request. His chief of staff, Matthew Whitaker, is now expected to oversee the Mueller investigation. Whitaker once mused about a situation in which Trump could fire Sessions and then appoint an acting attorney general who could stifle the funding of Mueller’s investigation. Acting Attorney General Matthew Whitaker is expected to oversee the special counsel’s investigation into potential coordination between the president’s Republican campaign and Russia now that Attorney General Jeff Sessions has resigned. President Donald Trump named Whitaker as acting attorney general after Sessions resigned Wednesday. Whitaker had served as Sessions’ chief of staff. He once mused about a situation in which Trump could fire Sessions and then appoint an acting attorney general who could stifle the funding of special counsel Robert Mueller’s investigation. 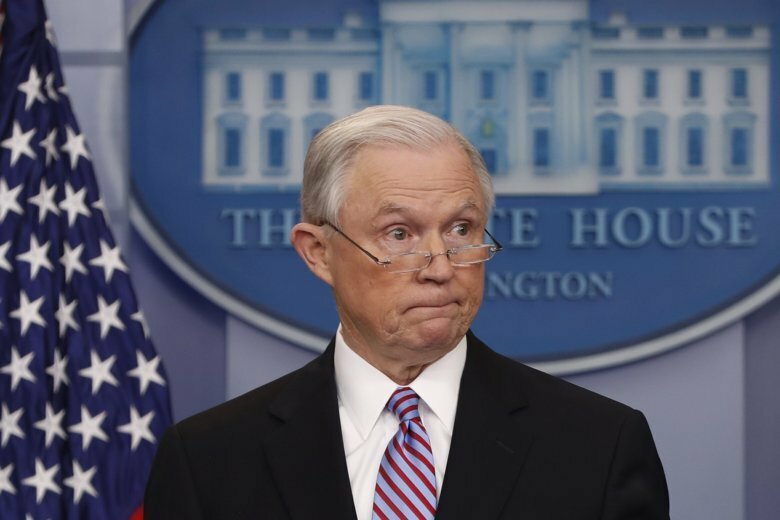 Trump’s relationship with Sessions frayed just weeks into his tenure, when he stepped aside from the Russia investigation. Deputy Attorney General Rod Rosenstein has overseen Mueller’s work. The top Democrat on the House oversight committee says Congress should investigate “the real reason” for the “termination” of Attorney General Jeff Sessions. Rep. Elijah Cummings of Maryland says it is not acceptable if President Donald Trump requested Sessions’ resignation to interfere with the special counsel investigation into Russian election interference and possible coordination with Trump associates. Cummings is also pushing for Congress to “confirm” that Acting Attorney General Matthew Whitaker is recused from overseeing the investigation. Whitaker is expected to oversee the investigation despite being critical of it in public statements and chairing the campaign of a witness in the probe. Trump and Sessions had a falling out after the attorney general recused himself from Mueller’s investigation. The president has repeatedly belittled Sessions in public and expressed regret about appointing him.